This is the page for the Warehouse Point FD. They have 3 engines, 1 tower ladder, 1 rescue truck, 1 brush truck, 1 SUV, 1 antique truck, and 2 stations. 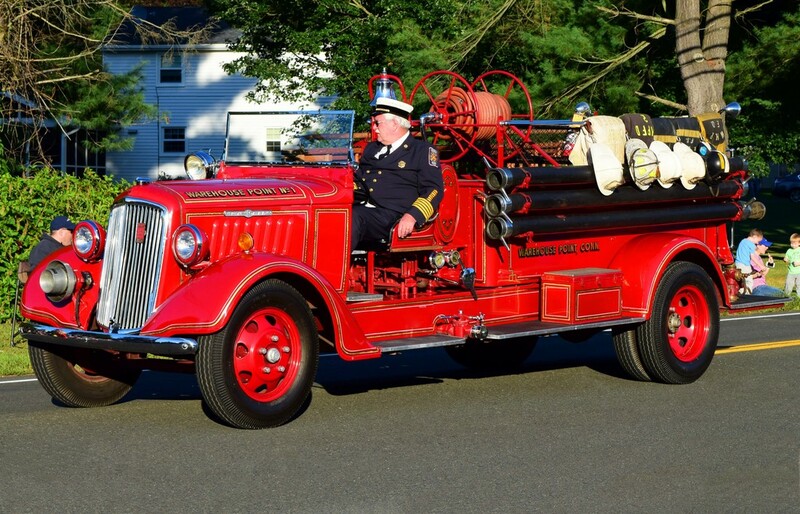 Warehouse Point's Antique Truck, a 1930's American LaFrance. 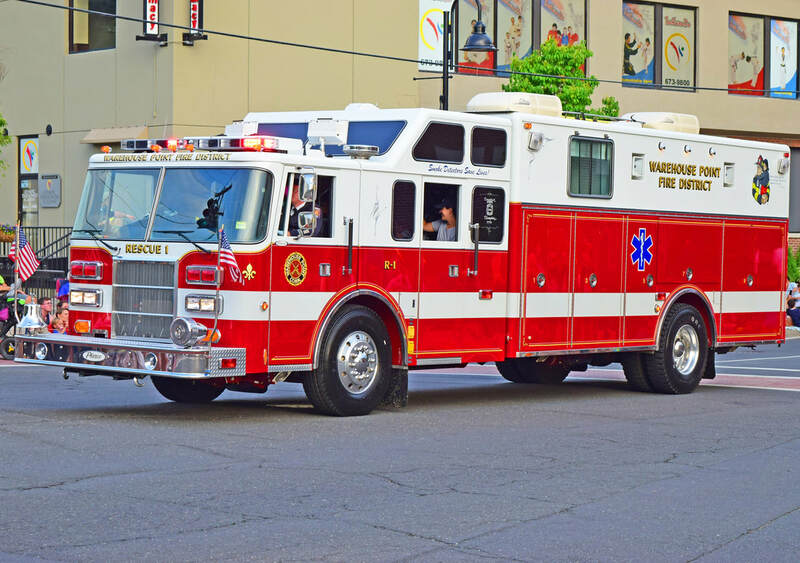 Warehouse Point's Squad 238, a 2009 Pierce Arrow XT. 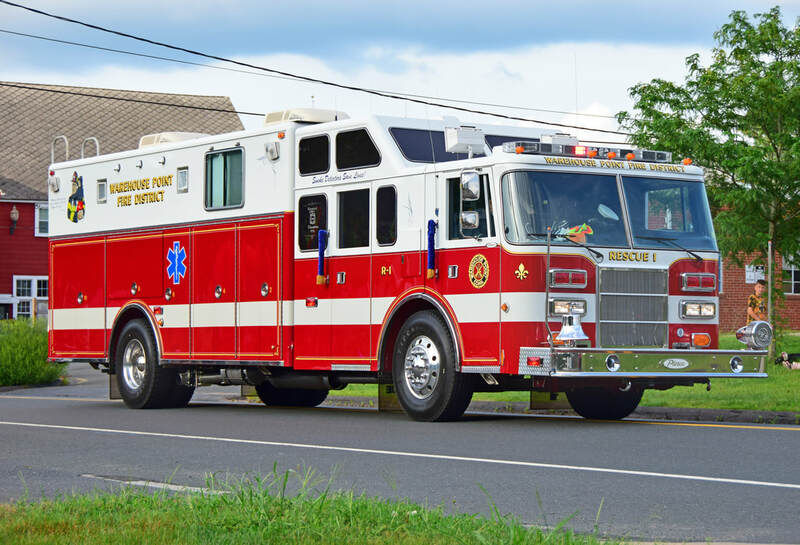 Warehouse Point's Rescue 138, a 1993 Pierce Lance. 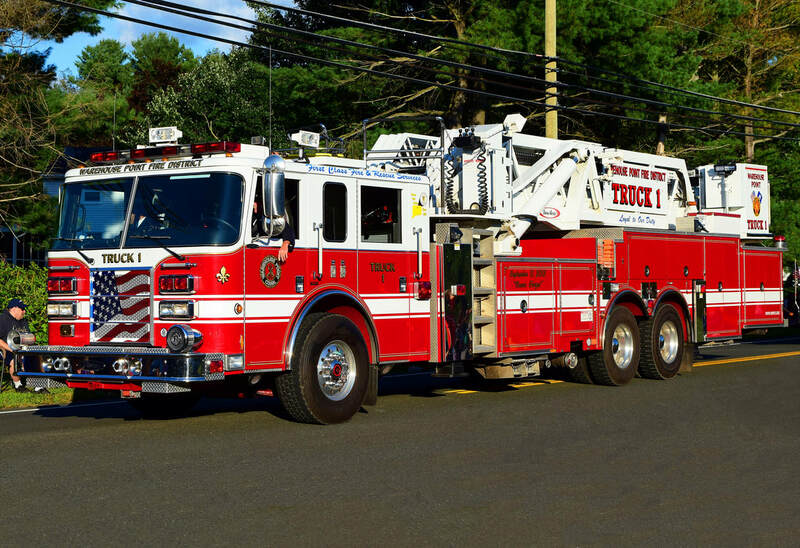 Warehouse Point's Tower 1, a 2003 Pierce Dash 95ft MMA.